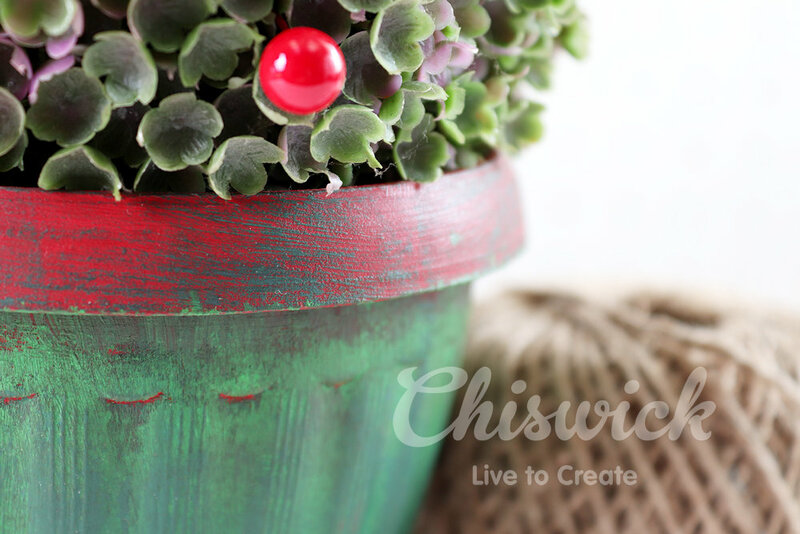 With the Festive Season fast approaching its time to get some creative projects going. 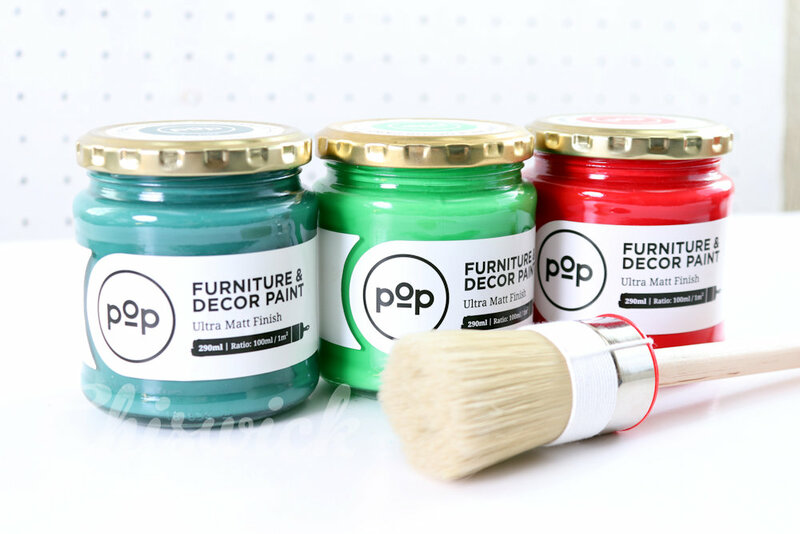 in a festive coat of Pop Paint. 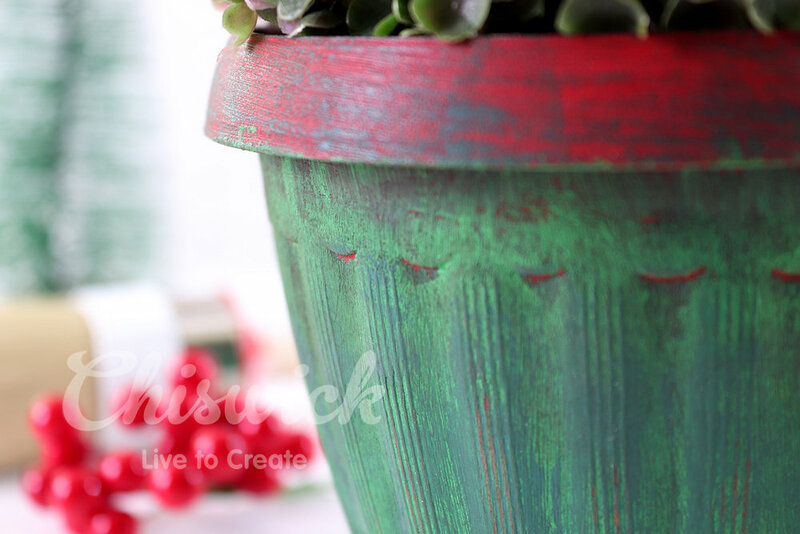 I naturally selected my favourite Christmas colours in the POP Paint range to work with. 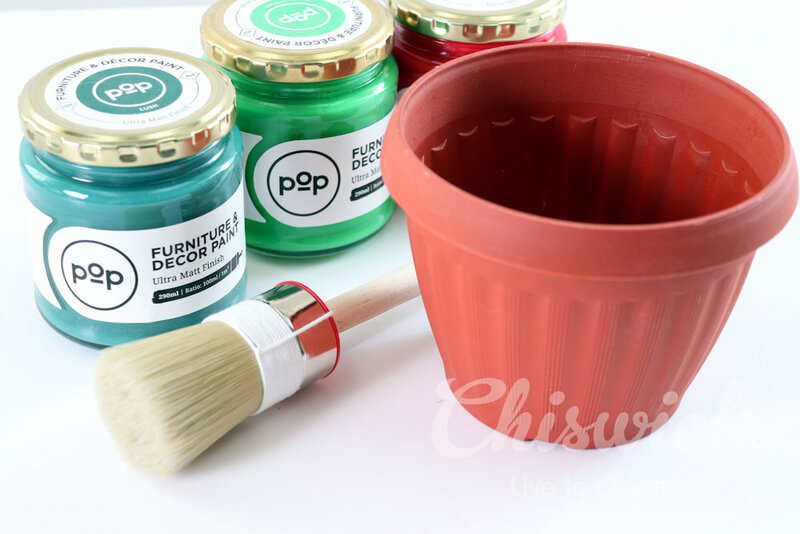 Gathered all my supplies – by the way these cheap planters can be stunning even for outdoor use painted in your favourite colour. 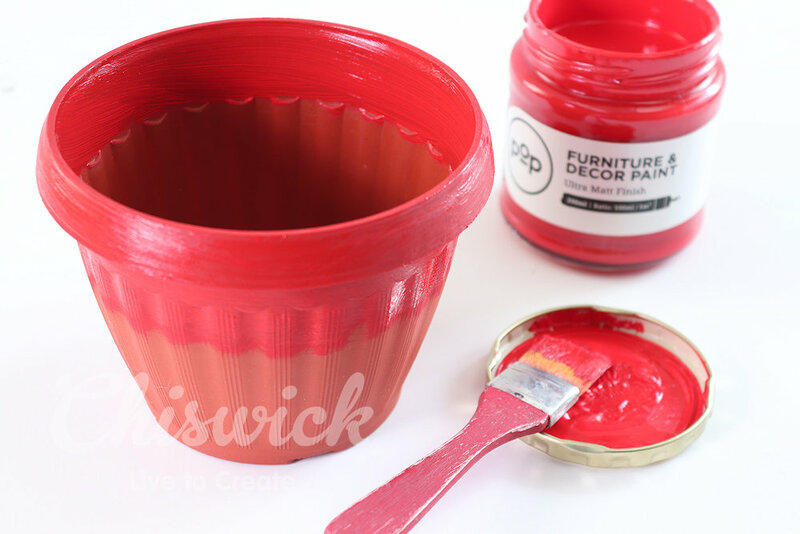 step 1 – Start by painting the top rim, inside and outside with a layer of Signal red Pop paint. Leave to dry. 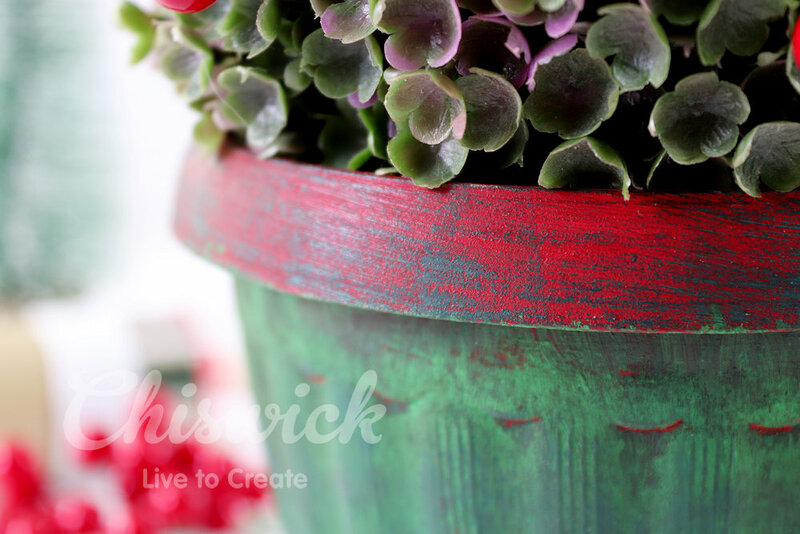 step 2 – Once the red is dry, dry brush a layer of Sprout and Lush below the red. 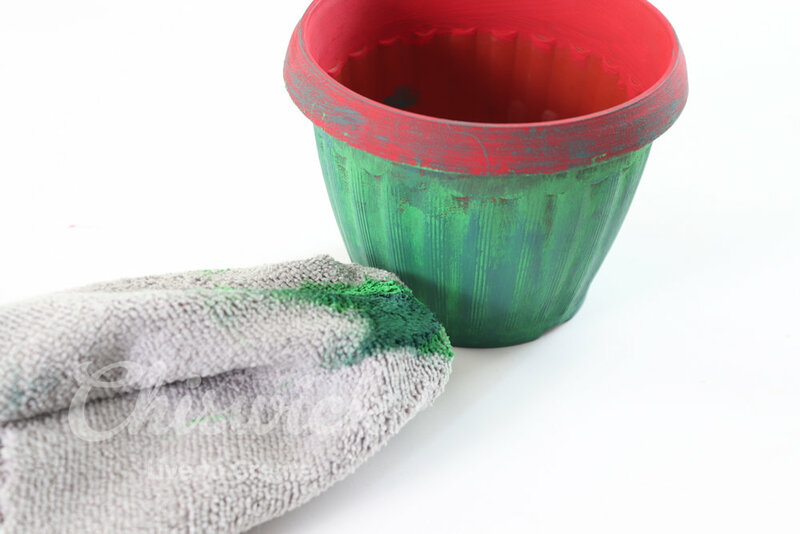 step 3 – Once these layers of paint has dried, use a soft lint free cloth and wipe some more Sprout paint over the bottom of the pot. 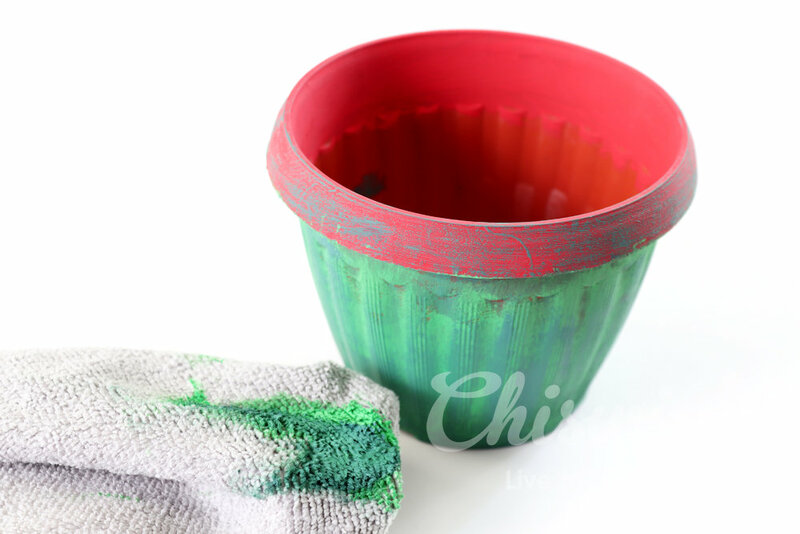 step 4 – Touch up with Lush paint and then seal with clear and dark wax. Lightly buff the pot to a shine. 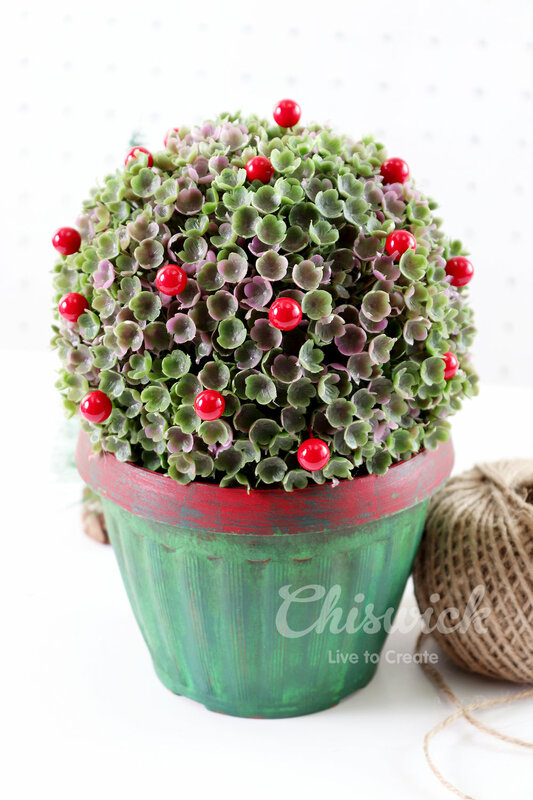 Place a topiary ball on top and add some red berries to make a festive topiary. 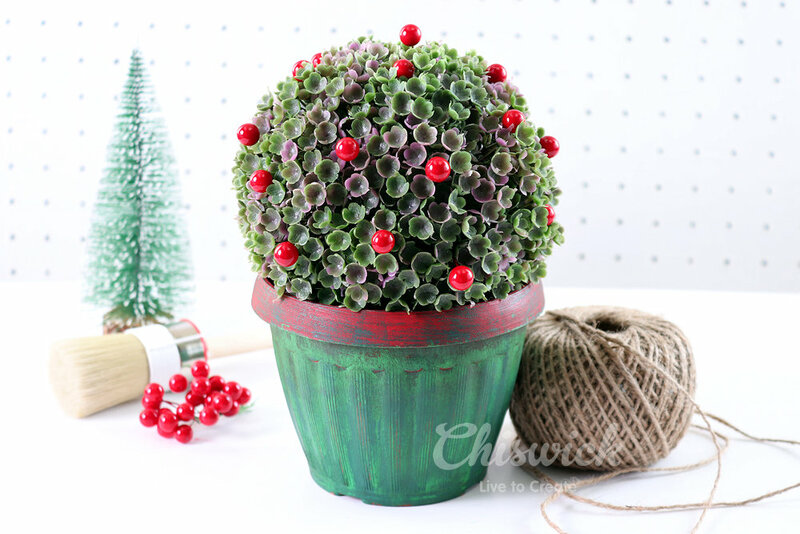 Turning a R5.00 plastic planter into something special that looks good enough to flaunt in your festive decor this year. 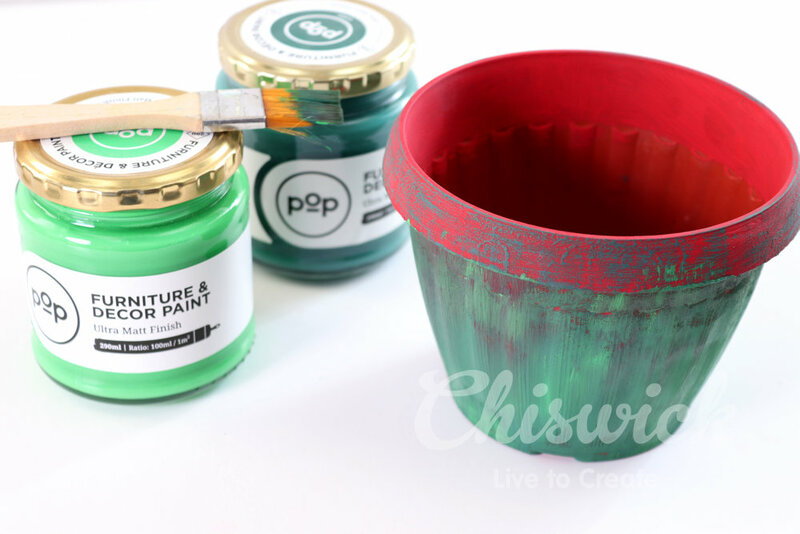 We hope you find lots of inspiration in turning those old planters into statement projects using Pop Paint this festive season.